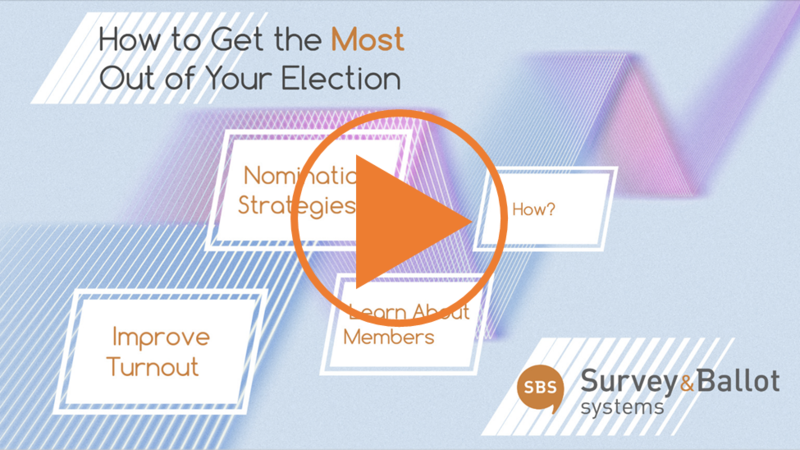 Join Kyle Brandt, Marketing Coordinator, and Tony Hoff, Marketing Manager at Survey & Ballot Systems as they uncover tools and strategies to maximize the value of your organization’s election. Tips to improve voter turnout. Nomination strategies to ensure competitive elections. How to use your election to learn more about members. A live Q&A segment to discuss further strategies and ideas.